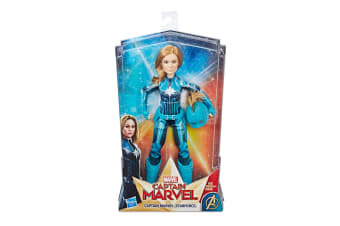 When the universe is in need of a skilled and confident leader, there is no better hero to take command than the Marvel Captain Marvel Starforce Action Figure! 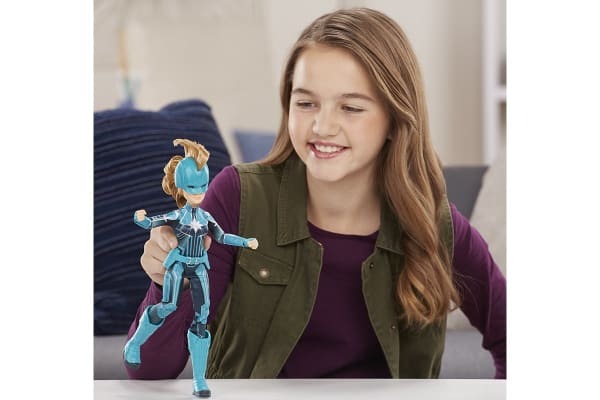 Imagine Captain Marvel blasting into action with the Marvel Captain Marvel Starforce Action Figure – including soft goods outfit, rooted hair and a helmet accessory with Mohawk design. 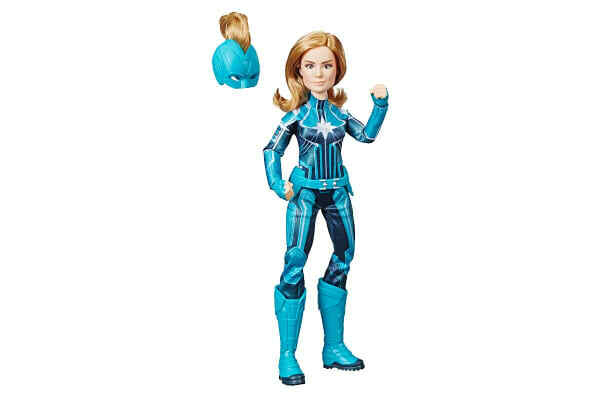 With 15 points of articulation, kids can put their doll in dynamic poses and move her into action.